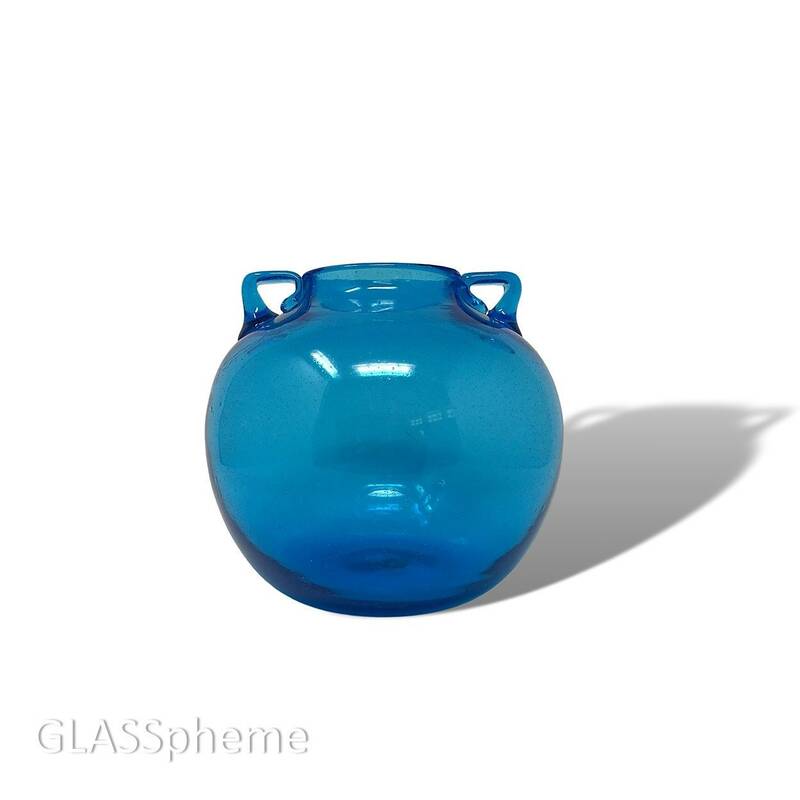 You're looking at a beautiful, old, and highly uncommon piece of pre-designer era Blenko glass in turquoise blue--the #375 two-handled "soffiato" vase first produced in 1937. 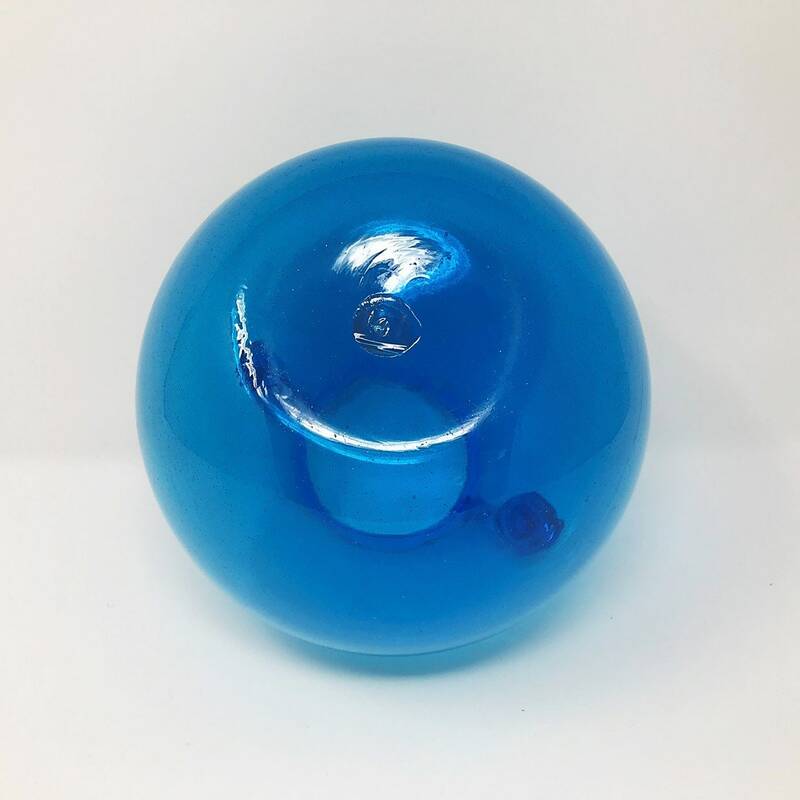 I have no idea how many years this beauty was made, but Worthpoint only has ONE Blenko #375 (properly identified, anyway) in its auction archives for the last decade... 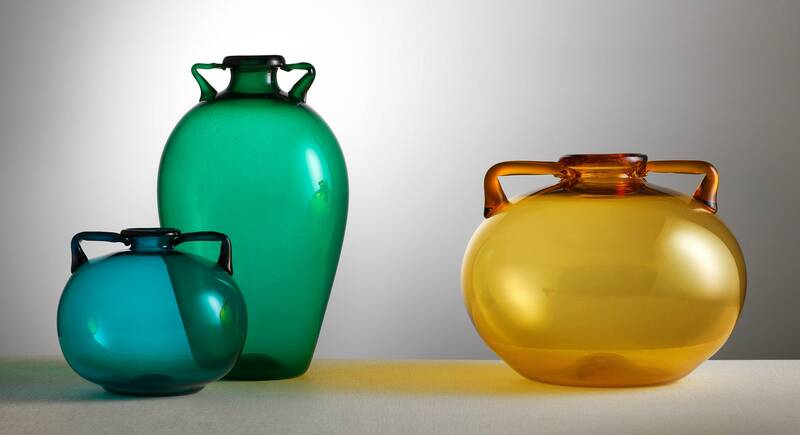 I've included a photo of Vittorio Zecchin's (Venini, Murano) near-identical C.1920s soffiato vase design, which leaves little doubt about Blenko's source of inspiration. 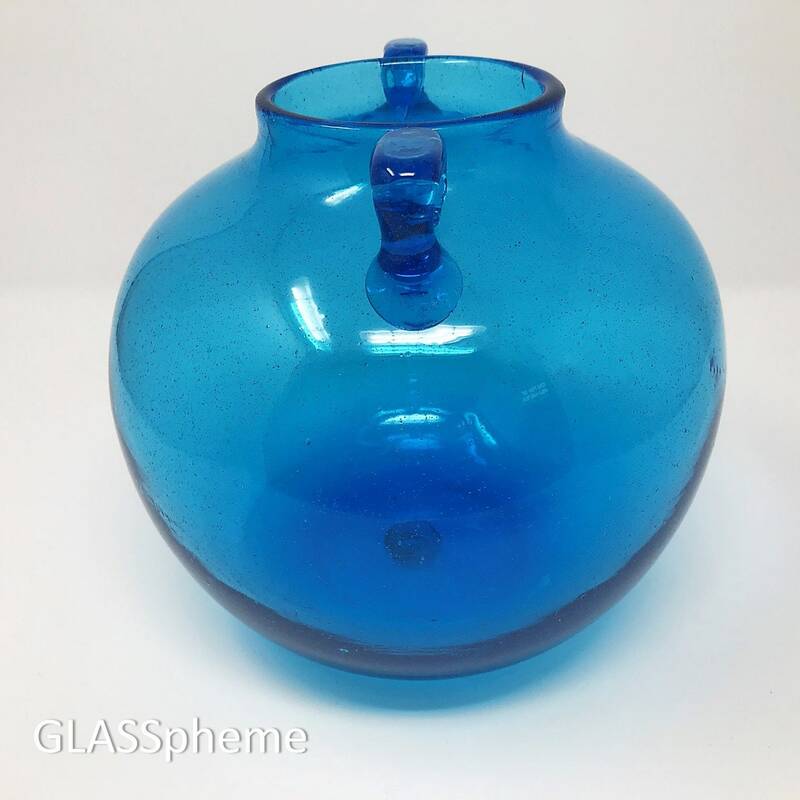 Standing roughly 7" tall, with a diameter of around 8", this seeded glass wonder is substantial and in extremely excellent condition with nothing to indicate its ripe-old age save the expected and significant wear marks on the base. 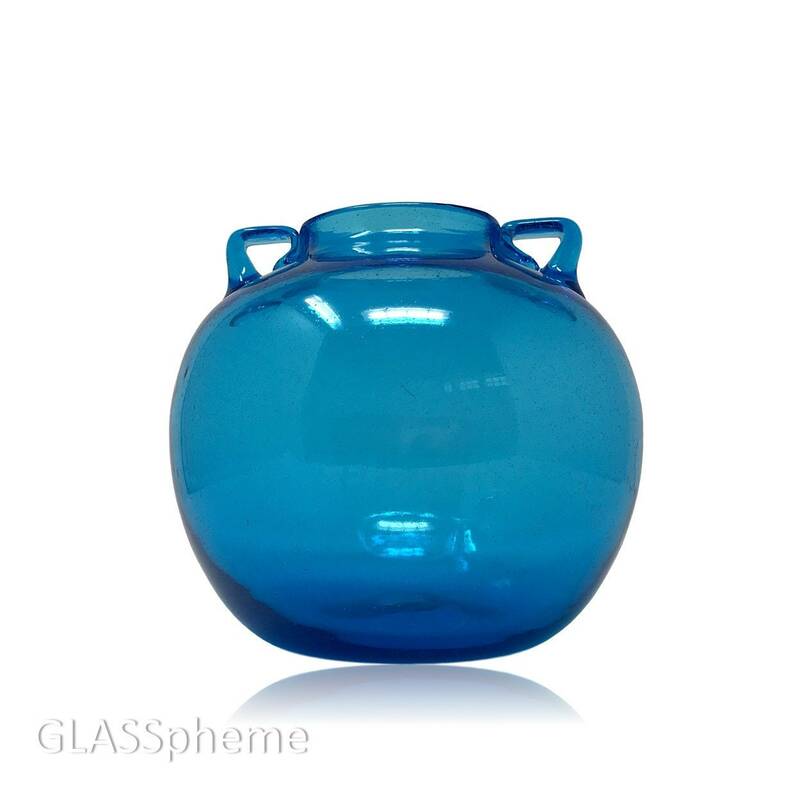 GLASSpheme always ships FREE to the continental US. Dimensions: Roughly 7" x 8"
Condition: MINTY, with expected base wear.